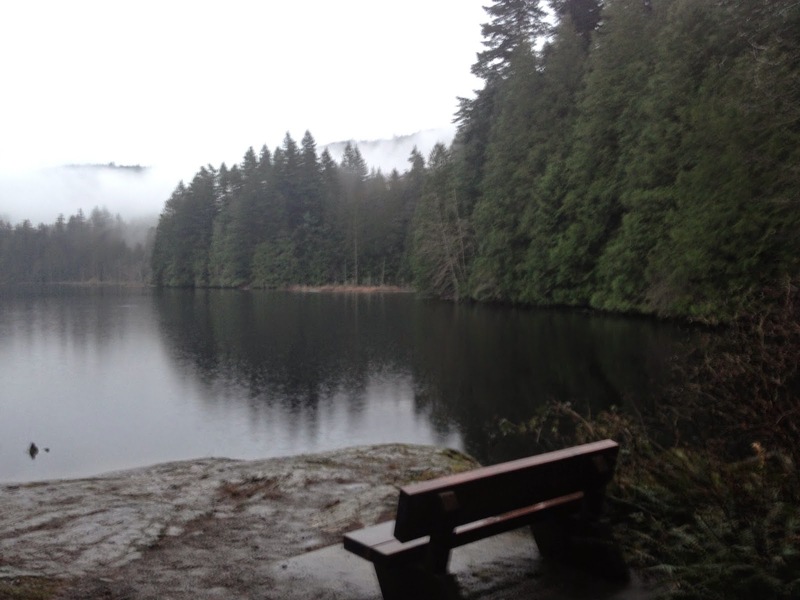 The bench at Killarney Lake on Bowen Island that looks out across a rock and the calm surface of this afternoon’s gloaming. I love the word “gloaming.” It refers to the dusky twilight that is practically what passes for daytime now, so close to the solstice, when the grey clouds that envelop us dim the already weak northern daylight even further. I love the cool air and the damp and wet, I love the contrast of walking into a friend’s house full of the smells of spiced ginger tea and welcomed with warmth. I love that we can huddle together against the chill to sing, as we did tonight with our local men’s and women’s Threshold Choirs, wrapped in blankets in a yurt, singing chants we practice for singing to the dying, accompanied by the random percussion of the rain. I am built for gloaming of Advent, a northern soul, a winter lover, one who can wait and wait and wait for the returning of the light, for the summer’s long in breath that begins a 2:03 on Sunday afternoon. Until then, enjoy some other amazing gloaming.